Web apps have been a part of web operations ever since the web world began spreading its wings. Businesses just cannot function without their web apps. From the simple and traditional login form to the modern e-commerce shopping cart, web apps have gone through a dynamic phase of evolution and web app development is a much bigger thing than it was in its initial stages. Today, it is not just web businesses that thrive on apps. Mobiles have also entered the fray and they make more efficient use of apps. In fact, apps are the lifeline for businesses when it comes to attracting and capturing the customers on the small screen. So, you need to have excellent apps in your arsenal so that you can make the best use of the omnipresent and super impactful web. You can approach a web app development company to build an apt app for you. 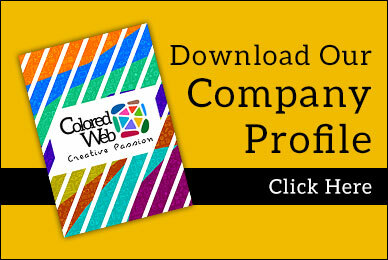 And we, ColoredWeb, are one such company where you can get your web app designed in the best possible manner. Our team is proficient in building dynamic and interactive web apps that serve your purpose to the fullest. We believe in keeping the apps simple yet solid.